As of January 30th, the eponymous flagship of the Celestino Drago Restaurant Group is no more. When the ristorante opened over 20 years ago, it ushered in a new era of Italian dining in Southern California, making Celestino Drago and his three brothers fixtures on the Los Angeles dining scene for over two decades. The Dragos' success gave rise to a dozen new restaurants over the years, and the foursome has undeniably and indelibly shaped LA's culinary landscape. Drago Santa Monica, thus, launched a mini Italian empire in SoCal, and I was surprised to see it go after 21 years, the victim of an expiring lease. As such, it seemed fitting to enjoy one final meal here, on the restaurant's last day of service. About Celestino Drago: Drago was born to a large family of six sons and two daughters in the commune of Galati Mamertino in the Messina province of Sicily. His mother was a homemaker and his father a farmer. The parents made olive oil, wine, cheese, bread, and pasta all from scratch, and instilled their children with an appreciation of fine Italian cuisine. It is perhaps no surprise, thus, that three of Drago's brothers--Giacomino, Tanino, and Calogero--decided to pursue careers in the restaurant industry as well (they run Celestino, Il Buco, Panzanella, Piccolo Paradiso, Sushi House Unico, Tanino, and Via Alloro, all here in the Southland). While in school for mechanical engineering, Drago worked at a restaurant called Pierino in Pisa, and it was here that he decided that he wanted to become a chef. He worked diligently for three years at Pierino, then finally took over the kitchens there. In 1979, Drago moved to Los Angeles to work at Orlando Orsini, which, interestingly enough, was located at the current address of Picca and, fittingly, Sotto. He quickly imbued the food there with his Sicilian sensibilities, then became acquainted with restaurateurs Jerry Magnin and Larry Mindel, who headed up a number of eateries under their company Spectrum Foods (which filed for Chapter 11 bankruptcy in late 2003). 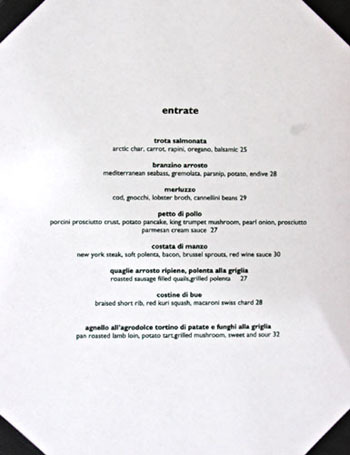 In 1983, they handed Drago the keys to the longstanding Chianti/Cucina (in the current Village Idiot space on Melrose), and the Chef started garnering some attention for his dynamic, ingredient-focused menu. Drago stayed here for a couple years, then debuted Celestino in Beverly Hills in 1985. The success of Celestino allowed him to launch Drago Santa Monica in 1991, with the help of his three brothers. 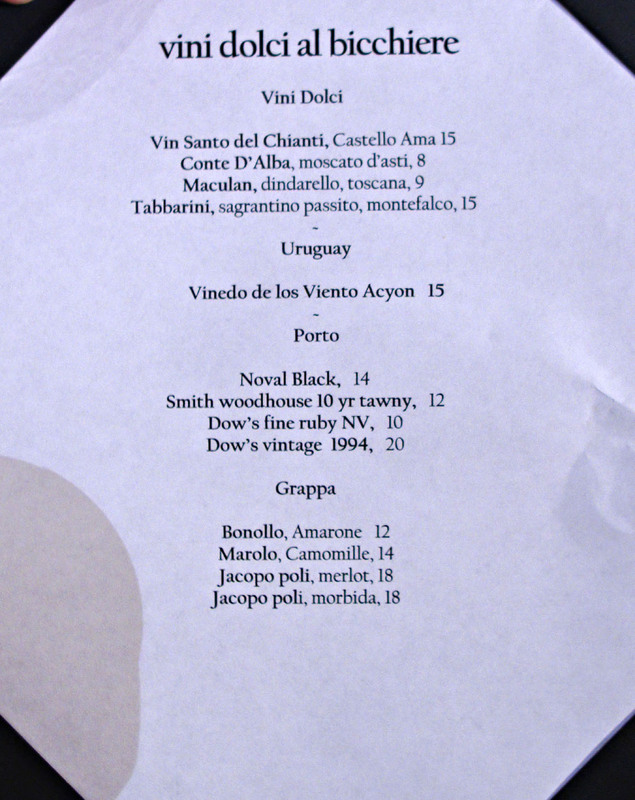 That restaurant was also a hit, and won Drago the title of one of "America's Best New Chefs" by Food & Wine magazine in 1993. 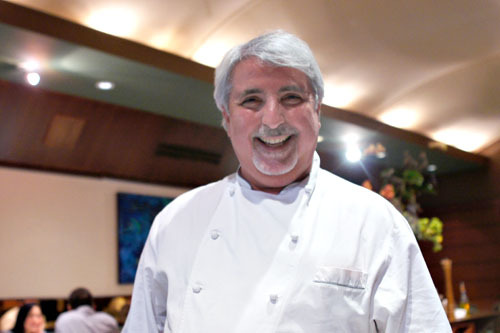 In 1994, Drago partnered with his brother Giacomino to open Il Pastaio on Beverly Hills' Canon Drive, a sort of neighborhood trattoria that became immensely popular. 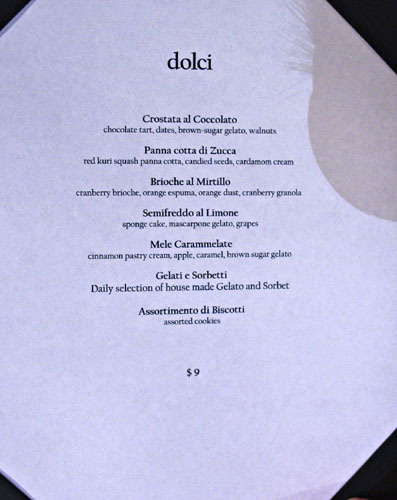 2003 saw the arrival of Dolce Forno Bakery in Culver City, which specialized in providing Italian baked goods to the Drago family of restaurants, in addition to retail customers. 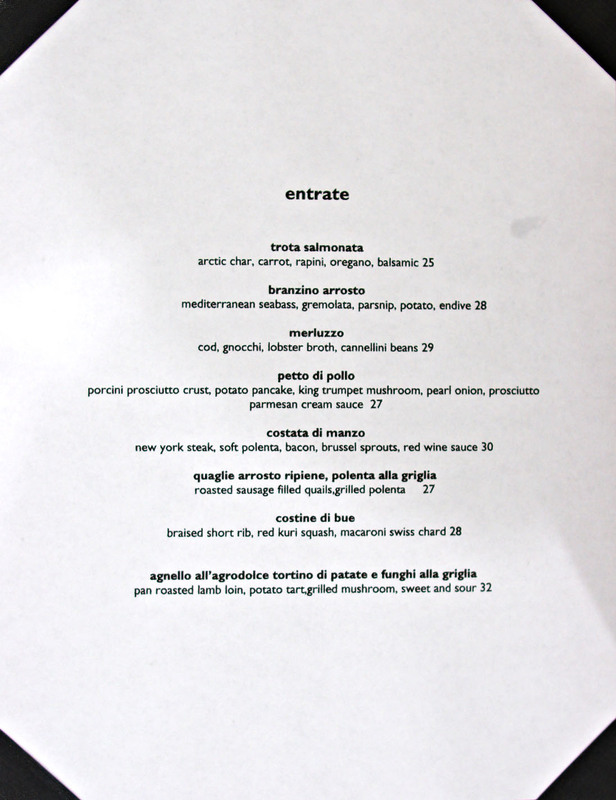 The following year, Enoteca Drago, a wine bar concept, bowed just two doors down from Il Pastaio in the old La Scala space. In 2008, work began on Drago Centro in Downtown. Walter Manzke was reportedly on board to become head chef, but the opportunity ultimately fell through, with the restaurant opening in November with Ian Gresik at the helm. Most recently, Drago was planning to open Osteria Drago in Newport Beach's Fashion Island. 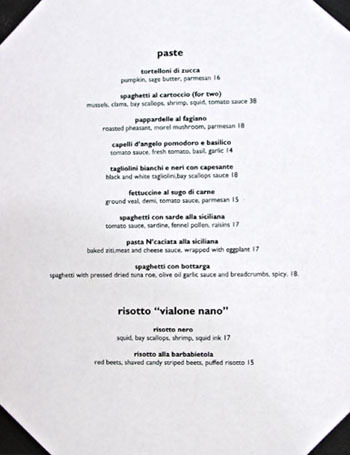 The restaurant was supposed to come in spring 2010, but was eventually scrapped, replaced by another Italian joint from Chef Grant MacPherson called Rustica. Rustica, however, closed in August last year, replaced by middling American eatery Great Maple. Currently, Drago Santa Monica is run by Executive Chef Evan Gotanda, a graduate of the California School of Culinary Arts in Pasadena (class of '01). Gotanda is a veteran of Bastide from the early days, working under Alain Giraud, Ludovic Lefebvre, Walter Manzke, and Paul Shoemaker. Following, he joined Theo Shoenegger at Patina, then transitioned to Paper Fish in Beverly Hills, cooking under Kevin Meehan (formerly of Cafe Pinot). From there, he became Sous Chef at Drago Centro, and in 2010, was promoted to Executive Chef here at Drago Ristorante. Gotanda is assisted by Sous Chef Matthew Haro, another graduate of the CSCA who spent time at Napa Rose, Bastide, and once again, Drago Centro. Drago's menu is divvied up into the expected sections of apps, salads, pasta, and mains. 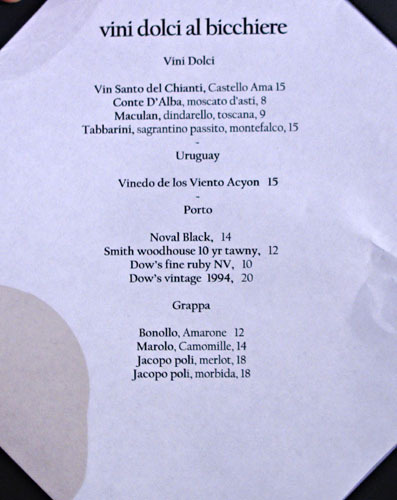 What was interesting was that, apparently, many of the dishes offered tonight were from the original menu, sort of a throwback to 1991. Click for larger versions. Bread, ostensibly from Dolce Forno, was rather tasty. 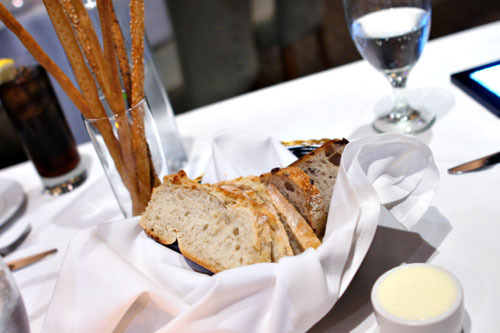 I especially enjoyed the crisp grissini, and found the butter rather endearing as well. 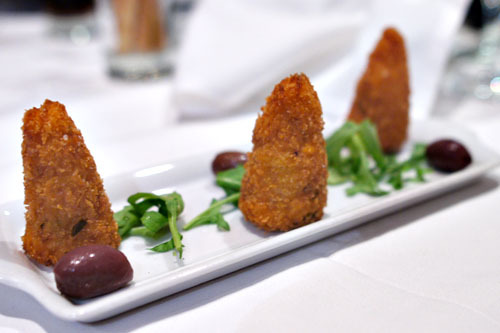 Drago's signature amuse bouche, cone-shaped arancini, were soon brought before us. The rice balls were surprisingly satisfying, with hearty, heavy consistencies and rich, cheesy interiors accented by a touch of tomato tartness. 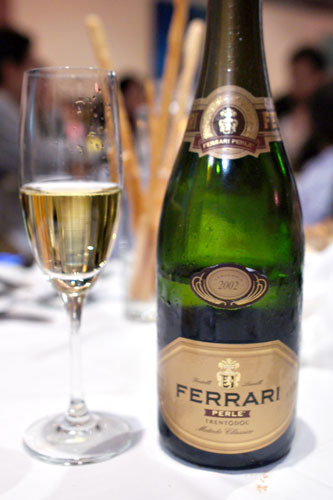 To drink, the Ferrari, Perle, Trento, 2002 [$68], a lovely sparkler with some great toasty notes to go along with an apple-y sweetness. Here, Drago riffs on the classic triangular sandwich known as the tramezzino. As expected, the mushrooms showed off plenty of salty, savory, earthy flair, augmented by the luxuriousness of the Fontina and fondue. The slices of polenta, thus, were absolutely key in balancing out the dish, both in terms of taste, and in texture. 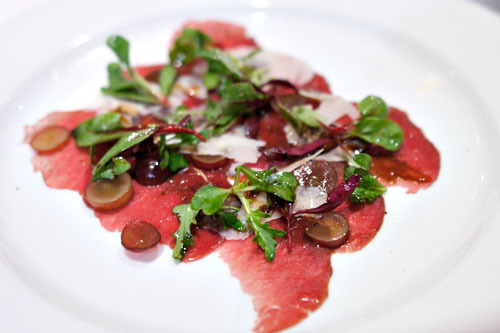 A carpaccio of venison was nice, with the character of the meat playing well off the combined, juicy sweetness of the Madeira and grapes, while the Parm added salt and gravity to the mix. Finishing things off was the pleasant, vegetal tang of the shrubbery involved. Pork belly, meanwhile, was tremendous, some of the best I'd had in a long while in fact. The meat, impeccably tender and succulent, showed off a perfect porcine relish that went superbly with the belly's crunchy, salty skin. Delicious alone, but I also appreciated the countervailing lightness imparted by the salad of frisée and citrus supremes. And into the pasta we go. 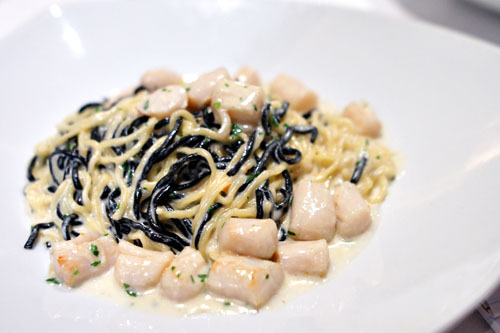 Tagliolini showed off a slightly peppery bite at first, which then transitioned into the saccharine, saline smack of scallop. 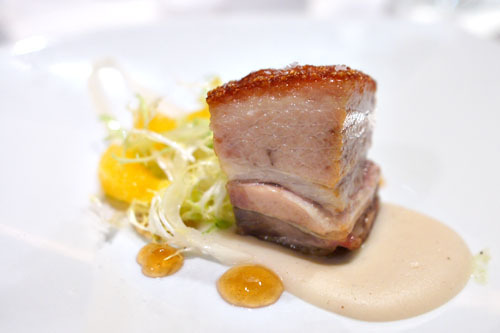 A simple, straightforward flavor profile, deftly tied together by the dish's creamy sauce. 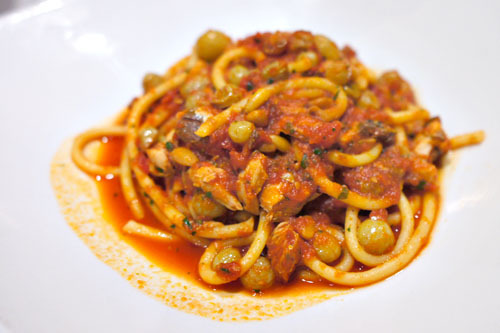 Up next was spaghetti, which conveyed a surprisingly heady aroma, courtesy of the bottarga. The roe lent an overarching brine to the dish that mixed in with the sweet, tart nature of the pasta, accenting and augmenting the dish's inherent flavors admirably. Given my penchant for risotto, this next dish was no surprise. The Vialone Nano rice arrived expertly cooked, with a proper al dente bite that I rather enjoyed. 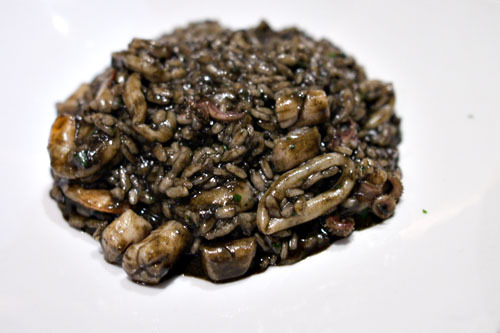 Breaking up the monotony of the risotto were lovely bits of squid, shrimp, and scallop, adroitly prepared and distinct in character. 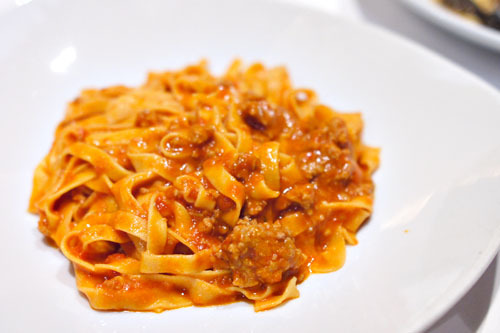 No surprises here with the next course: a classic interplay of rich veal, tart tomato, and salty Parmesan flavors, bound together by textbook ribbons of fettuccine. We ended the pasta gauntlet with my favorite of the fivesome. 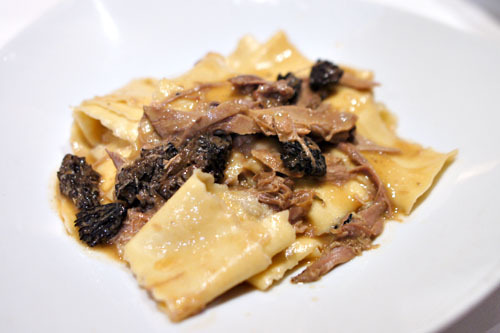 I thoroughly enjoyed the deep, dark flavors of the pheasant here, and how the bird combined so flawlessly with the earthy essence of the morels, amped up another notch by the inclusion of cheese. The wide swaths of pappardelle were great here too, moderating the otherwise hefty tastes at play beautifully. We tend to stay away from chicken at restaurants, but it proved just too intriguing for us tonight. 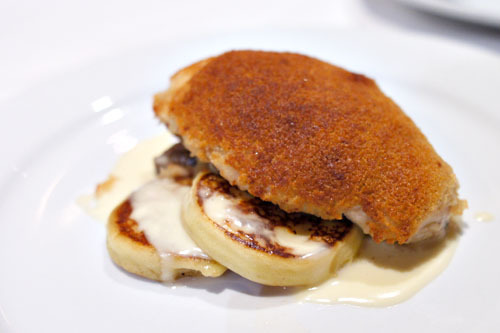 The bird was perfectly cooked, stupendously tender, moist, and flavorful, perked up a bit by its crisp, salty crust that one of my dining companions likened to Shake 'n Bake! 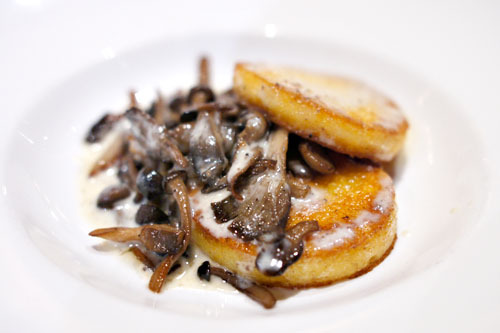 I also enjoyed the stout cylinders of potato here, as well as the umami-rich savors imparted by the mushrooms. 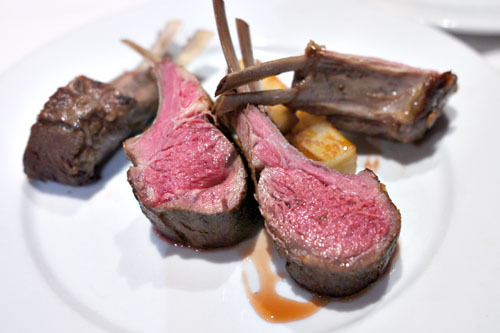 Our final savory course of the night dealt us some gorgeous lamb chops, perfectly cooked to a medium-rare temperature. It was actually some of the tastiest lamb that I'd had in a while: supple, succulent, brimming with flavor and finished with a slight gaminess. The meat was delectable alone, though its accompaniments were certainly nothing to sneeze at either. I found the sweet 'n' sour kick of the agrodolce especially fitting. Dessert, naturally, was a must. Click for larger versions. 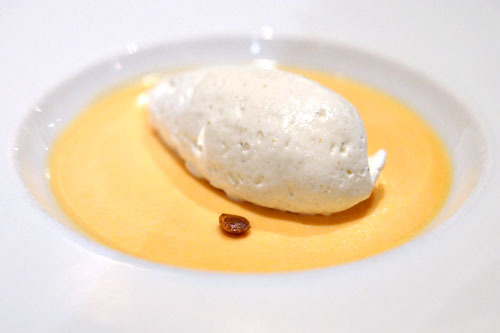 A panna cotta of squash was rather interesting. It had the sweetness that I was looking for, but also showed off a fantastic nuttiness and spice that made this far from typical. The Chef checks in with us toward the end of the meal. 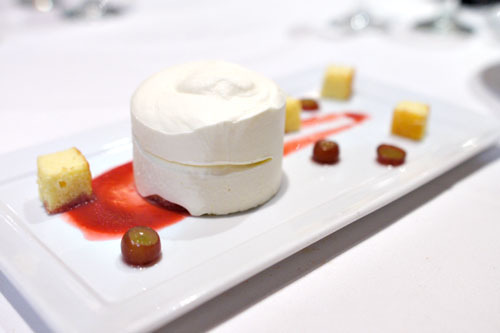 The semifreddo, meanwhile, paired the sourness of lemon with the sugary smack of the accompanying fruit, while also doing a nice job balancing the light, airy sponge cake with dense, creamy gelato. Finally, here was what one dining companion compared to a deconstructed apple tart. 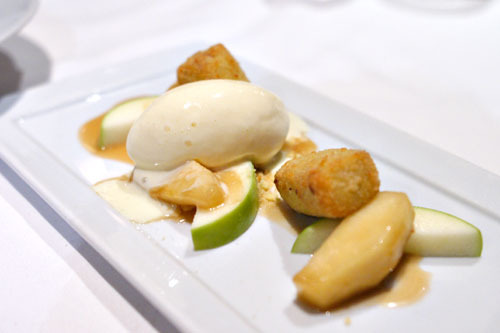 The crisp, bright flavors of the apple really went superbly here with the spiciness of the cinnamon cream, as well as the unabashedly sugary smack of the caramel. Just a lovely mélange of contrasting textures, too. I was actually quite pleased with this meal. Execution was pretty much spot on, and Drago delivered some great flavors on the plate tonight. There wasn't anything too novel, too dramatic, but just some solid, honest, satisfying cooking--I can see why this place has lasted so long. It is a shame, thus, that the restaurant is closing. As for what's next for the Chef, he's going to focus on running the rest of eateries, as well as the catering business. He did admit, however, that he'd love to reopen Drago sometime, if the location and economics work out that is. Kevin what camera do you use to take the pictures on this blog? I was just there myself on New Years (review). So sad it's closing. We had our wedding rehearsal dinner there too, and have been dozens of times. 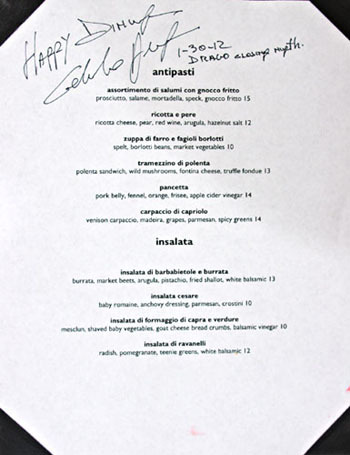 But Celestino isn't going anywhere I'm sure and we can catch the wonderful pasta at Il Pastaio. He's also very adaptable even beyond pure Italian. He supervised 6 or 7 big catered parties at our house, and once I even had him cook 15th century recipes and another time a meal adapted entirely from Apicius (the 80AD Roman chef!). He even imported must and garum from Apulia! Jay: I'm currently using a Sony α500, paired with a Sigma 28mm f1.8 macro lens. Andy: Given your history with the place, I'm sort of surprised I didn't see you here on the final night! I mostly go to places on my own schedule -- and it's been a mild dry period as my foodie partner/instigator was in Asia for 2+ months, but he returned so we'll be back at it this week! Just found your blog, oh how I wished to have found it earlier, you do a great job! nice pictures and reviews! Have you been to Masa restaurant (Japanese) in NYC? Unk: Thanks--great to hear that you're enjoying the web site! I've not been to Masa in New York. I'd love to go, but alas, the restaurant doesn't allow photography.